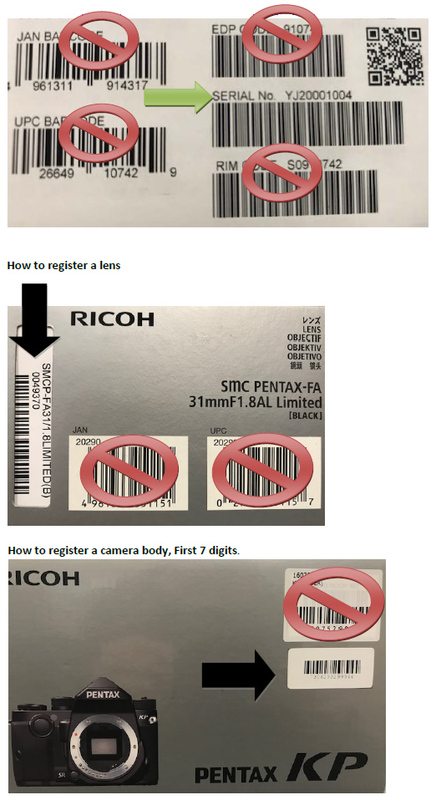 Please find lists of Ricoh/Pentax’s authorized and un-authorized dealers. Purchases of Ricoh/Pentax products should be made from our authorized dealers as they receive product directly from us as well as training and other support so we can ensure the integrity of the product. We cannot ensure such an experience at the un-authorized dealers and, if the product is altered in any way, it will void the warranty. Products purchased from an un-authorized dealer will not qualify for warranty coverage. When purchasing ANY product from Ricoh Imaging website, items in new condition and returned within 90 days will receive a refund or exchange. 1. RICOH IMAGING products originally distributed by RICOH IMAGING AMERICAS CORPORATION and purchased through our authorized distribution channels, are warranted by RICOH IMAGING AMERICAS CORPORATION to the original retail purchaser for a period of one year from date of purchase against defects in material and/or workmanship. 3. This warranty does not cover finishes or batteries, nor does it cover damages resulting from accident, misuse, abuse, dirt, water, battery leakage, tampering, servicing performed or attempted by unauthorized service agencies. This warranty is valid only in the country where this product is purchased. Routine cleaning and normal cosmetic and mechanical wear are not covered under the terms of this warranty. RICOH IMAGING AMERICAS CORPORATION shall not be liable for any consequential or incidental damages resulting from any breach of warranty, express or implied, applicable to this product. Some states do not allow limitations on how long an implied warranty lasts, so the above limitations may not apply to you. Some states do not allow the exclusion or limitation of incidental or consequential damages, so the above limitations may not apply to you. This warranty gives you specific rights and you may have other legal rights which vary from state to state. This warranty policy does not affect the consumer’s statutory rights. From the original date of purchase, RICOH IMAGING AMERICAS CORP. provides a 25-year limited US lifetime warranty for most PENTAX Binoculars purchased within the US from a Ricoh Imaging authorized dealer. This warranty covers the original owner and is not transferable. Routine external cleaning, normal cosmetic and mechanical wear and excessive wear due to professional use are not covered under the terms of this limited US lifetime binocular warranty. The dated proof of purchase receipt (bill of sale) must be provided to ensure warranty status. If a dated proof of purchase receipt is not received with the product, a repair estimate will be issued.